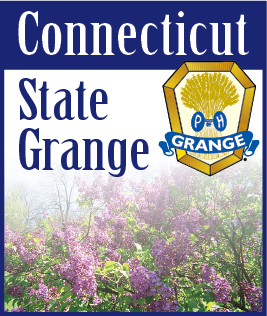 The Connecticut State Grange and the Rhode Island State Grange will be co-hosting a special day-long regional event entitled "The Grange 2011 and Beyond," featuring two workshops by the National Grange Membership/Leadership Director Rusty Hunt. The workshops will be held on Saturday, February 12, at North Stonington Community Grange Hall, 21 Wyassup Road, North Stonington, CT. A $5.00 per person registration fee will be charged, with lunch included in the cost. The first workshop is titled "Pomona: What and Why" and will run from 9:00 AM to 12:00 Noon. Lunch will be served, then in the afternoon, a second workshop, "Grange Growth from the Master's Perspective" will be held from 1:00 PM to 4:30 PM. Hunt, a third generation Grange member and rancher from Washington State, has been active in the organization since "before I could walk." He met his wife, Jacquie through the Grange, and has two children, Cady and Charlie. He has held numerous positions at all levels in the Grange, and has been the National Grange Membership/Leadership Director since 2008. An informational flyer and registration form are also available as a PDF File download on the Connecticut State Grange website Downloads page (http://www.CTStateGrange.org/downloads.asp). The deadline to register is February 5th. With approximately 240,000 members in nearly 3000 local and state chapters across forty states, the Grange has nearly 60 Community Grange chapters across Connecticut. There are 21 Community Granges in Rhode Island. These local Granges are committed to bettering their communities through service projects and family orientated activities. But it's the Grange's interest in legislative action that sets it apart from other organizations. The Connecticut State Grange, which is celebrating it's 125th Anniversary, has historically been an advocate for rural quality of life issues, farm programs, rural economic development, environmental and consumer issues, and similar topics. Yet the Grange organization has evolved with the times. Health care, education, the importance of food safety, locally grown and produced foods, and communications access are just a few of the Grange's current areas of involvement, as well as legislation designed to assure strong and viable communities.